The response from the Foreign Ministry in Moscow was menacingly sarcastic: “I wish the BBC Russian service luck. They will need it now, because digging stuff up can be a diverting and unpredictable business,” warned a ministry spokeswoman, Maria Zakharova. There is more to it than that. In fact, this episode represents a curious kind of victory for RT. Whatever the reason for, or the extent of, the restrictions which have been placed upon RT’s banking facilities, the network has been noticed. For the past decade and a half, Vladimir Putin has striven to restore to Russia some of the international standing it lost with the collapse of the USSR. Media coverage has been an integral part of that effort. It has been a lengthy process. Russia Today was launched in December 2005. Having lived and worked in Russia for long periods in the 1990s, I returned there in April 2006 as a correspondent for the BBC. Russia Today was taking the first unsteady steps which are a frequent feature of media launches. But even then it was taken seriously in Russia – if not abroad. In informal meetings with Russian officials, they would ask what we, as Westerners, thought of it. Those of us who lived in Russia, and worked in the media, took a professional interest – but Russia Today was not the subject of much curiosity in the wider world. I learnt from a visiting western TV executive, who had been to the channel, that one of Russia Today’s main – albeit modest – audiences then was to be found in Australia, after 11pm. The time slot suggested that people were watching it after coming home from a night out. RT now claims much greater, more engaged, audiences including 70m daily viewers globally and 36m weekly viewers in Europe alone. When, as with Russia and the West, different nations’ populations have little knowledge of what makes each other tick, journalists become an important link in understanding. That in turn makes them pieces on the chessboard of international relations and confrontations. While the technologies may be new, the idea is not. During World War I, British correspondents in the then capital city, Petrograd (now St Petersburg) signed up to work in “an official British propaganda office” as RH Bruce Lockhart recalled in his 1932 Memoirs of a British Agent. What was different in those days was that their efforts were not designed to undermine Russia but to strengthen the resolve of a troubled ally against the Kaiser. Later, in the Communist era, the bulwarks of Soviet propaganda – among them TASS and Radio Moscow – spread the word of Marxism-Leninism both internally and externally. Inside the Soviet Union, populations starved of other sources of information inevitably had their views shaped by these tightly controlled state organs. But in the post-Soviet era Western-style media flowed over the ruins of the Iron Curtain along with much else. In the 2000s, Russia even hired western PR agencies, but their best efforts could not stop the country’s image suffering when it was seen by many as the aggressor in the 2008 war with Georgia. Russia Today’s different message had little impact on what the world thought. Military shortcomings from that conflict were addressed for future campaigns – and, meanwhile, Russia was also learning media lessons. 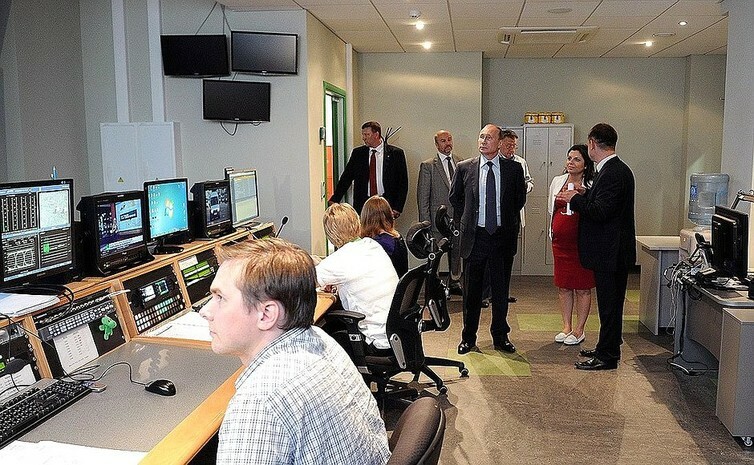 Budgets for the Kremlin’s international news outlets subsequently rocketed, Russia Today became “RT” – its national affiliation no longer emphasised. “Question more”, the network’s motto, played to audiences wanting something different. The channel, which had been conceived along exactly the same lines as BBC World News or CNN, now challenged those organisations’ version of events. Russia has also proved proficient at harnessing western social media platforms to challenge and confuse western narratives. Is this a media conflict in the context of a “new Cold War”? Not really. In the Cold War, the USSR was selling a message of international socialism. Now Moscow is offering a mixture of Russian nationalism, and anti-Americanism. It may not be much in comparison, but – as the RT bank story shows – it has got them what they wanted. It has got them noticed. James Rodgers, Senior Lecturer in Journalism, City, University of London .This article was originally published on The Conversation. Read the original article.